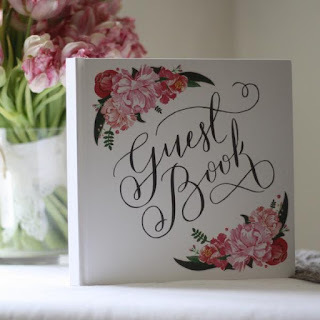 Your guest list has so many variables that make it hard to have a definitive cut off number...it depends on your budget, family size, number of friends, location, venue size and so on. Is there an easy way to determine who to invite? The simple answer is No! Prioritise: To start, list who you absolutely cannot get married without - this may include parents, grandparents, siblings and best friends. Do they have partners? How many people does that make? Some couples stop there, have a small intimate wedding and then tell the world. Maybe an informal post-wedding brunch or party sometime in the future for everyone else (but only if you want to) - it does give you the chance to celebrate all the people that were not invited on the day without paying a fortune to wine and dine them. If you feel that you need to invite all your family, start with your nearest and dearest aunts & uncles, cousins and their partners. Weigh up which of the two of you have the larger family - maybe there are some close friends on the smaller sized family side that you would really like to include, maybe not. Sometimes it can be complicated when all these extended family members have partners that you don't really know - you may then have to invite them all.Too often people are pressured into asking everyone including their workmates, old friends and people that you really haven't had contact with for years - are they important to you? Please keep in mind that it is your wedding and it's up to you who is invited. This can be a difficult subject, and you will be pressured by others to include long lost friends and relatives - but ultimately it IS up to you. Be very clear why you are/are not inviting people and stick to your guns!